Poker Twitter has exploded in the last few weeks with people taking prop bets to go vegan. Max Silver has offered odds to people. Dan Smith might do it for charity. Doug Polk had a 6 figure number. And Jamie Kerstetter has accepted a bet with Bill Perkins. David Tuchman explain his tweet that began the responses on Twitter from the 888poker Live in London. 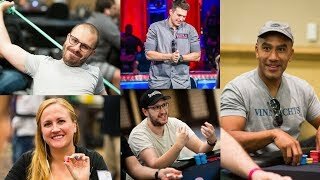 Doug Polk perde una prop bet irreale: Hellmuth fa canestro da tre al primo tentativo e incassa $10.000! PartyPoker MILLIONS: confermati Trickett, Heilich… e Boris Becker! Articolo precedente A night with PokerStars, si replica! Appuntamento con il grande poker in TV dal 10 febbraio al 3 marzo!